"You brought a breath of fresh air with the beauty and simplicity of your designs, and you left us with a better understanding of working with yarns. Not to mention liberation from the tyranny of the pattern. It was work but fun, as well." Available now, with 56 PERCENT OFF the regular price! 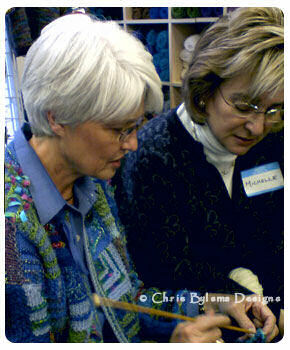 If you can't make it to a class in person, join Chris at Craftsy! 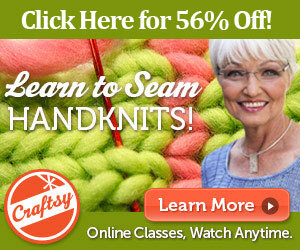 There, you'll find her "Learn to Seam Handknits" class online and available to you 24/7.